My due date has changed to April 7th. We are way excited. If you click to enlarge the picture, the lower left shows his legs and his but. His stuff is in the middle.It is just exciting because this is the first time I felt it was something because I have had a boy and a girl, so I knew this was a boy. The pregnancy is identical to Kobi’s. I enlarged the pictures and the bottom left definitely looks like a boy! 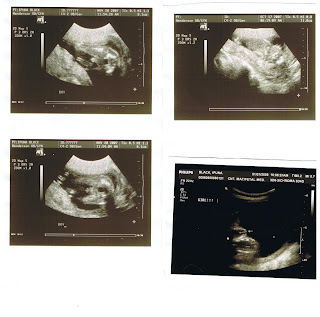 The bottom right ultrasound that your dr. said is a girl even looks like a boy to me. I think you’re having a boy especially if you feel like you are anyway. Now you get to think of boys names instead! I think it’s easier to pick a boy’s name although we haven’t yet. Hi! This is Amber Cruz (Taylor). David and I know K.C. from our days at the UNLV institute. 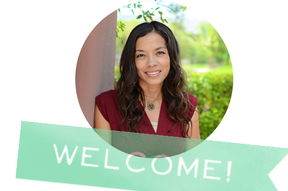 I ran into your page on Michelle’s and thought I’d say hi! Congratulations on your baby! That’s so exciting! Glad to see you guys are doing well! Our blog address is http://cruzfamilyhappenings.blogspot.com if you want to check it out!